[W3238] Texas Through The Looking Glass - What Does The Data Tell Us? Duane Blackwell has been in home health since August, 1997 when he was hired as CEO of Thompson Home Health, a multi-provider Louisiana-based home health company. At that time, the industry was undergoing a dramatic transition from a cost-based system to prospective payment. Duane’s previous career in commercial banking seemed a good fit for what was to be a tectonic shift in the way home health was delivered. In 2003, he assisted in the successful sale of Thompson to an equity investment firm, staying on as CEO for five years following the sale. In 2008, Duane established SOSO Solutions, LLC, a consulting practice focused primarily on the serving needs of post-acute care providers, including home health and hospice companies. SOSO’s areas of focus include strategic planning, financial management, the management of change, and sales and business development. SOSO continues to serve a client base centered in the Gulf South. In 2015, Duane partnered with Dr. Cordt Kassner and Dr Warren Hebert to establish National Home Health Analytics; a Medicare Clams and Cost Report research and consulting company focused on delivering industry transparency. A native of Hattiesburg, Mississippi, Duane earned a Bachelor of Science in Business Administration and a Master of Business Administration from The University of Southern Mississippi. [W3238] Texas Through The Looking Glass - What Does The Data Tell Us? Mary Soule is an Associate Attorney at Liles Parker’s Washington, DC office. She focuses her practice on regulatory health care compliance matters, fraud and abuse, and reimbursement issues. Mary has represented a variety of healthcare providers, including psychiatrists, dentists, acupuncturists, home health agencies, and counselors. She represents health care providers nationwide with an assortment of health law issues, including prepayment and post-payment audits with Medicare, Medicaid, and private payors and general compliance matters. She is also a Certified Medical Reimbursement Specialist. [W3237] OIG’s 2019 Workplan – Is Your Home Health, Hospice or Personal Care Agency in the Government’s Cross Hairs? Meaghan McCormick is an Associate Attorney in Liles Parker’s Washington, DC office where she concentrates her practice in the area of health care regulatory compliance. Meaghan has experience with auditing claims, identifying deficiencies, and assisting clients in improving their documentation. She also assists providers with creating and implementing effective compliance plans. Meaghan has assisted Dentists, DME providers, community mental health centers, hospices, and home health agencies across the country. [W3236] Effective Compliance Program - How will Law Enforcement Evaluate Your Efforts if there is a Problem? Michael H. Cook is a Partner and Co-chair of the Health Care Group at the law firm of Liles Parker, PLLC. Michael has more than 40 years of experience as a health care attorney in the regulatory, reimbursement, business, and policy areas. He has lectured and published frequently on topics of interest to health care providers and has served on a number of industry and government task forces and commissions. Michael has presented on the Comprehensive Joint Replacement Program Initiative to the National Association of Home Care and Hospice and the Kentucky Association of Health Care Facilities, and the TAHC&H, and on CJR/Bundled Payment Impact on Post -Acute Providers -- Navigating Alternative Payment Systems for the American Health Lawyers Association, sits on the Board of the Virginia Department of Medical Assistance Services (Medicaid), and served on a health care work group on delivery system reform for the campaign of Secretary Clinton for President. [W3231] What the Heck! How Should Your Agency React When Something Goes Wrong? Heidi Kocher is a partner with Liles Parker and has over 20 years of experience in health care legal and compliance related issues, including serving as a compliance director, chief privacy officer and interim chief compliance officer at a medical device manufacturer. In addition, she has represented and advised physician groups, home health agencies, DME companies, pharmacies, non-profit organizations, and licensed individuals. Her experience includes implementing the various requirements and aspects of a Corporate Integrity Agreement, responding to and defending audits from Medicare, Medicaid and private insurers up through the ALJ level, guiding clients through voluntary self-disclosures and seeking advisory opinions from the OIG. She also has significant reimbursement experience, addressing coverage policy issues, challenging denials, recoupments, and loss of billing privileges, obtaining HCPCS codes, and other reimbursement related issues. 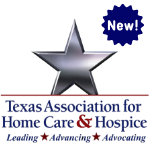 [W3228] Home Health and Hospice Marketing Practices - Are Your Marketing Practices Legal? Lorraine Ater Rosado is a key member of Liles Parker’s healthcare team and has been an attorney at the firm for nearly six years. She defends healthcare providers facing overpayment claims and counsels clients nationwide on compliance with healthcare statutes, regulations, and contract matters. She has represented providers in panel qualification and termination matters. She has extensive experience working on complex cases involving both Federal and State violations of the False Claims Act, including whistleblower cases. She is skilled in administrative litigation and appeals. Lorraine has handled claims disputes involving most major healthcare payors, including Medicare, Medicaid, TRICARE, various BlueCross BlueShield entities, and UnitedHealthcare. She is experienced working on large, complex administrative appeals of extrapolated alleged overpayments assessed by Centers for Medicare and Medicaid Services (CMS) contractors, including Zone Program Integrity Contractors (ZPICs), Medicare Administrative Contractors (MACs), Recovery Audit Contractors (RACs), and Medicaid Integrity Contractors (MICs). [W3226] Reading the Tea Leaves – What are the Top Ten Risks Your Home Health Agency and/or Hospice will Face in 2018?